The SMWS Festive Advent Calendar – Quite Possibly One Of The Greatest Advent Calendars Ever?! The Greatest Advent Calendar Ever?! The SMWS Festive Advent Calendar! SMWS have released quite possibly one of the greatest advent calendars ever! For 25 days as a countdown to Christmas you can try a different dram each day. The advent calendar has an excellent selection from whiskies to spirits and even a couple of extra surprises thrown in along the way! 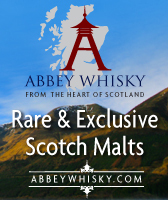 Whyte & Mackay Partners With Schweppes To Launch Spirit & Mixer “Give Away” Pack! 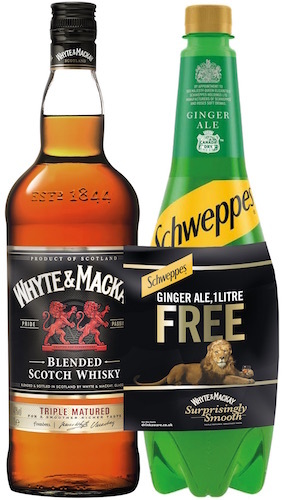 Whyte & Mackay have continued to lead the way in blended whisky category by launching a limited-edition “special banded pack” – giving away a bottle of Schweppes ginger ale with 1L bottles of Whyte & Mackay Triple Matured Blended Scotch Whisky. 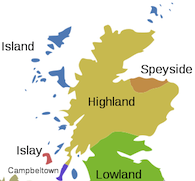 The pack is exclusive to stores in Scotland. 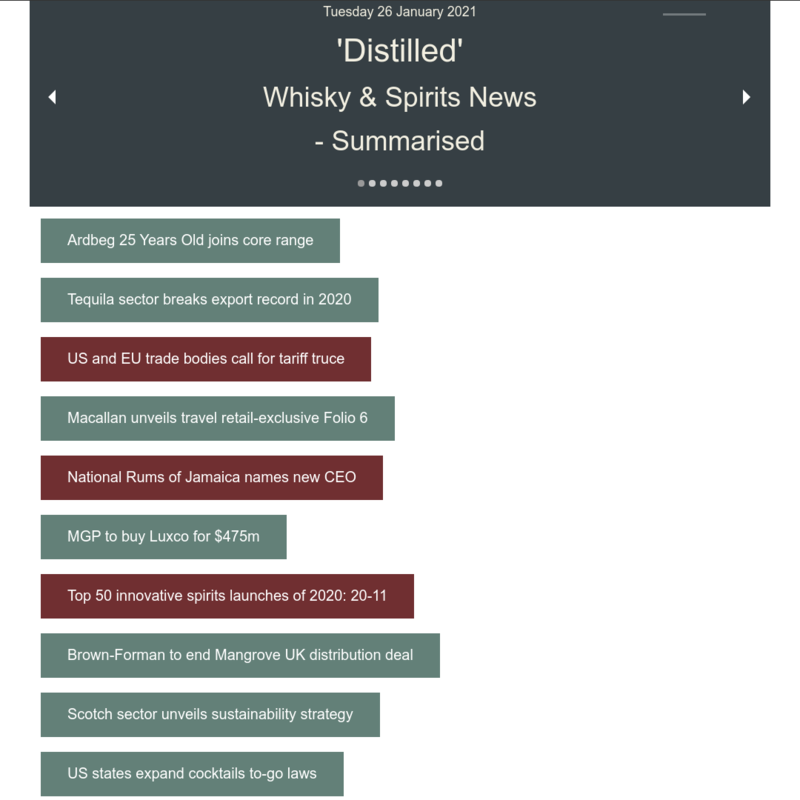 The initiative will add value to the category by giving consumers an offering that is both convenient and offers value for money, particularly for younger adult drinkers with whom ‘spirit and mixer’ serves are very popular. The limited edition pack allows them to purchase their whisky and mixer together in a handy banded pack and each comes with a recommended serve printed on the back, giving them a simple recipe on how best to enjoy the drink. The packs offer great shelf stand-out and are available now in Tesco, Asda and Morrisons stores across Scotland with a RRSP of £20. At Whyte & Mackay, we pride ourselves on delivering consumer satisfaction and convenience, which is why we decided to introduce this handy new Whyte & Mackay plus Schweppes mixer pack. We have seen strong demand especially amongst younger adult consumers to try our whisky as an easy to make mixed long drink, and with Christmas on the horizon, we’re confident our mixer pack will sell out soon. Schweppes are thrilled to be partnering with Whyte & Mackay for this special initiative. We know a simple ‘spirit and mix’ serve is always popular with consumers, especially younger adult drinkers, so combining our popular ginger ale with their Whyte & Mackay Triple Matured Blended Scotch Whisky, as part of a banded pack, makes perfect sense. We’re not only offering added value but easy mixability. Cheers to that. 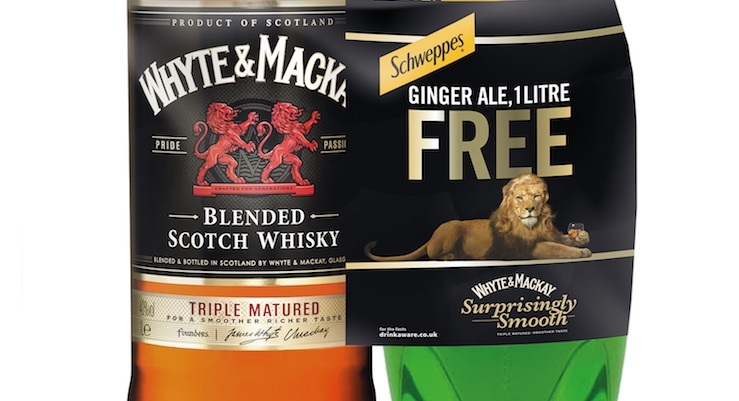 The introduction of the new mixer pack comes after Whyte & Mackay Blended Malt became first to the market with a 50cl bottle earlier in 2018, in response to Scotland’s minimum unit pricing laws.